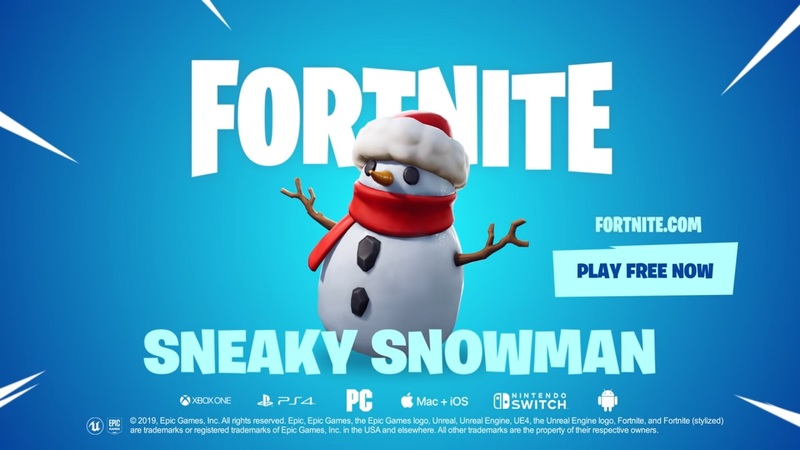 Game developer Epic Games recently released a brand new item called Sneaky Snowman for popular battle royale video game Fortnite. The new Sneaky Snowman item allows players to create a frosty shield and even make them move freely around the battlefield stealthily. This was actually one of the items and weapons included in the most recent update of the game. This one was the main feature of it and it really stood out from the rest. To activate the Sneaky Snowman item, players need to use the primary fire button of the game. The secondary fire will allow players to wear the item/costume and more around the map. The suit alone acts as a shield with 100 health, which is plenty already. The bad effect is that players cannot build anything wearing this. The game is now available on PlayStation 4, Xbox One, PC, Mac, Nintendo Switch, iOS, and Android.